Documentation and SupportReleases 2015-11-03 ReleaseTemplates are available to download or save from the Table Info sandwich. 1. You can now download or save Templates. 2. 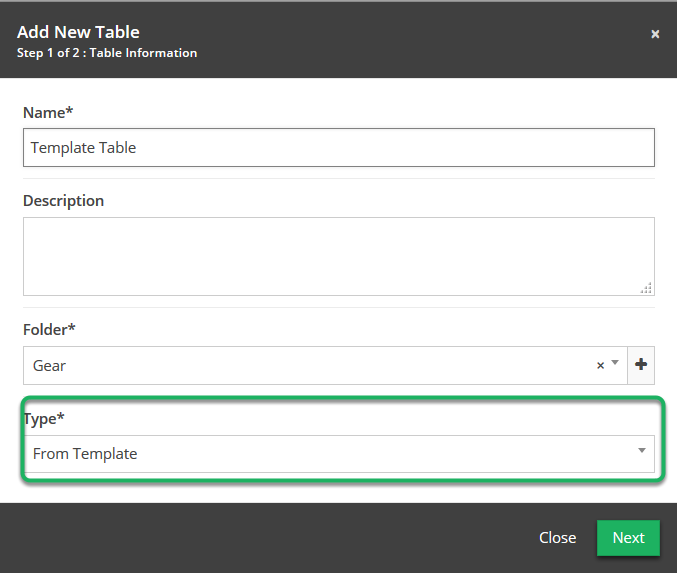 When using the template, select 'From Template' for the type. 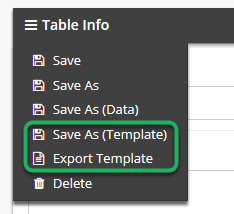 Note: This is only available when creating a table from the table system tool. Prev: Auto Importer now gives you a shorter file name as well as the long one. Next: Auto importer names can be saved using the wizard.